Main Street Economics has been a registered corporation in the State of Maryland since November, 2000 and is CCR registered. It is owned and operated by Robert Wieland. In its three years of operation, Main Street Economics has undertaken work for the Maryland Department of Natural Resources, The Maryland Center for Agro-ecology, and The Chesapeake Bay Program. Representative projects are outlined, below. This project was undertaken for the State of Maryland Department of Natural Resources. Main Street Economics was engaged to apply forest growth and production models to a schedule of forest management options and to value modeled outcomes for each. The work was undertaken according to schedule and results were written up in a report that was accepted by the client. This project was undertaken as a sub-contract to the Irland Group as a part of a wider study to examine current trends in keeping land in forest uses in Maryland. 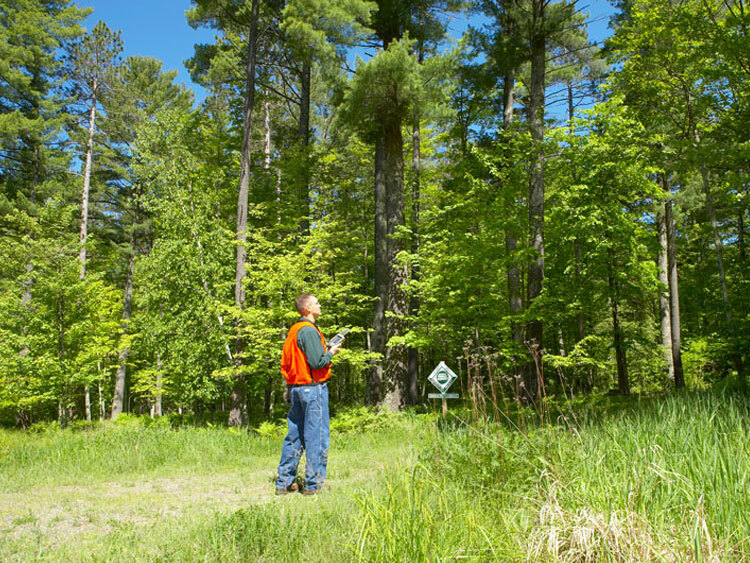 Main Street Economics was engaged to assess existing State and federal policies affecting forestland retention by describing those policies and analyzing them in a cost-benefit framework. The work entailed gathering information and budget data for a number policies and programs and collating these in a manner that supported the analysis. A report of the findings was written, and provided to the client in a timely fashion. This report was incorporated in the final project document, Forest Production, Industry and Forest Retention Assessment, published, January, 2004, by the Maryland Center for Agro-ecology. Main Street Economics was engaged by SAIC to provide assistance in the development of threshold factors for “significant and widespread economic impacts” resulting from actions necessary to meet water quality objectives in the Chesapeake Bay and its tributaries. This assistance extended to the gathering and evaluation of cost factors for best management practices targeting water quality improvement. Following completion of this contract, Main Street Economics remained engaged in the Use Attainability Analysis (UAA) through Robert Wieland’s membership on the Chesapeake Bay Program’s UAA Workgroup. Mr. Wieland prepared and presented to an EPA workshop in Washington a paper outlining the implications of cost efficiency factors for large-scale Use Attainability Analyses. In 2002, in anticipation of problems achieving restoration goals for the Chesapeake Bay, the EPA undertook a demonstration “Use Attainability Analysis”. The purpose of this Use Attainability Analysis was to show the states with legal jurisdiction over the Chesapeake Bay how to undertake their own analyses. As a member of the Chesapeake Bay Program’s Use Attainability Workgroup, Robert Wieland helped to demonstrate the fundamental need for cost efficiency in any assessment of the costs implied by various levels of water quality restoration. Because there is no single budget constraint spanning all of the water quality restoration efforts, incentives for cost minimization are limited. Further, because technical efficiencies for various restoration practices are poorly known, the possibility that administrative solutions could overcome this problem is also limited. In 2004, Main Street Economics analyzed the private timber resource implications of various management strategies for pine forests on the Eastern Shore of Maryland. In this study, several forest growth models were used to estimate production under each of nine different scenarios. Using historical cost and price data and the results of these simulations, a net present value of timber production was developed for each scenario. In 2003 – 2004, Main Street Economics estimated the net present value of oyster stocks in the Chesapeake Bay with respect to their role in removing nitrogen and phosphorus from the water column. This work supported research undertaken by oyster scientists at the University of Maryland Center for Environmental Science.